First, we need to understand how low-cost airlines such as Jambojet work. The easiest analogy for a Kenyan would be that they work the same way a matatu works. Fares to Rongai by matatu vary from KSh. 20 in the morning all the way to KSh. 150 on an average day and KSh. 300 on some days, such as when it rains. Low-cost airlines price their fares, in the same way, varying from low fares all the way to fares that cost more than standard fares. Like matatus, low-cost airline fares are priced around demand. At the same time, a low-cost airline looks at maximising the amount of money it can make off a single flight - it’s business. As such, during normal demand periods, most passengers will pay lower fares compared to non-standard airlines. A few seats will, however, have a high fare - these are targeted at customers who badly need a seat and are ready to pay whatever price. It makes more business sense for the airline to sell these seats to the highest bidder as they make more money. During peak demand period, such as during Christmas season, most of the fares will be on the higher side due to demand. Additionally, if you book months in advance, you also get to enjoy lower fares. A low-cost airlines fare will thus start low and rise as the flight gets closer as long as there is demand. If the flight is not full by flight date, fares will start dropping again and may fall to their lowest just before the flight, depending on how many empty seats are left. Should a passenger cancel their flight a day or a few hours before the flight, the seat will be resold, the cost depending again on demand and how many other empty seats the plane has. Important to note is that a low-cost airline is literally a cheap ticket. It therefore neither includes meals, seat selection, checked in baggage and other standard airline services. Should you want to select a window seat, check in luggage or have a sandwich on board, all these will be billed an additional fare above what you paid for your seat! To keep the cost of a seat as low as possible, the airline focuses on getting you from point A to point B for as cheap as possible. Some airlines even have reduced legroom. More important to note, low-cost airlines are known for their propensity to delay flights or move you to an earlier flight depending on demand. If you need more reliability, you will have to opt for a standard fare flight. Think of it this way - if you were just travelling with a single bag from Nairobi to Malindi, why should the airline add the cost of checked in luggage and food to your ticket, yet you don’t need these. Seat selection is, of course, a way for the airline to bill passengers for preferences. If you value a window seat or a spacious fire exit seat, then it follows you will most likely be ready to pay for it. All said, how do you ensure the most affordable ticket on Jambojet? I analysed their fares to Malindi for about month around December, and this is how you would have fared. A PDF of the analysed fares can be viewed here. Fares were collected on some days, and twice on other days. Jambojet recently said that they had recorded increased demand during this holiday season, notably in Malindi where demand increased the highest. Typically, flights to Malindi will cost between KSh. 5,200 to KSh. 8,200, with some passengers paying as much as KSh. 11,200. Other airlines will bill you KSh. 11,000 - KSh. 13,000. Jambojet's standard fare appears to be KSh. 7,200. Booking months in advance will get you this fare. Booking 4 to 5 days in advance will get you the same fare. Booking more than a few days in advance might, however, result in higher fares. A look at the Jambojet website shows that Sundays have the lowest flight demand to Malindi followed by Mondays. Outside the festive period and holidays that fall on Fridays and/or Mondays, you can fly to Malindi at KSh. 5,200 by booking your Sunday flight any day the preceding week. 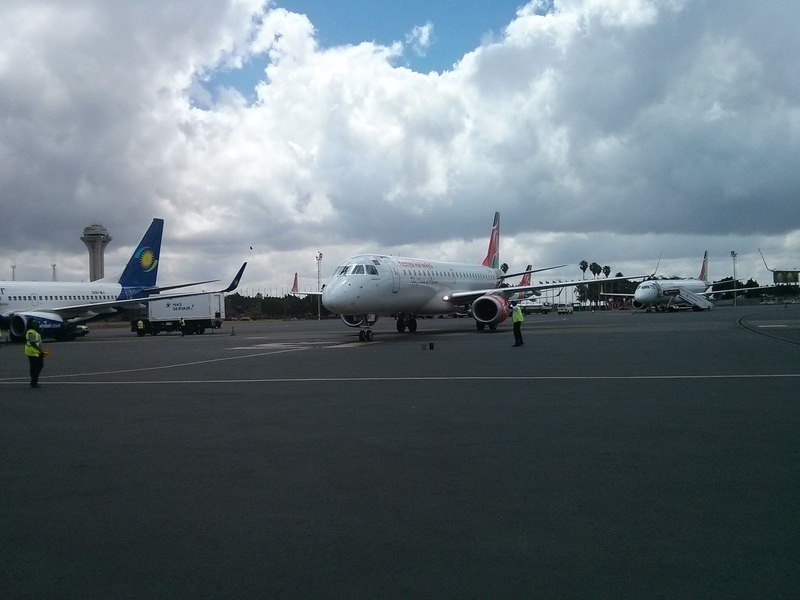 Tuesday records the highest demand and consequently the highest fares to Malindi. We also see that you are likely to enjoy the lowest fares the night before the flight, or on the morning of the flight. This is, however, a gamble, for your flight can be full such that there is no flight available the night before or on that morning. The below table depicts that low fares are likely to be available on the morning of a flight, or about a week to the flight. Next day fares tend to be high in the morning and low in the night to the flight. Going back to our earlier chart, the flight of December 18th perfectly illustrates how the pricing of a seat varies over time. On November 23rd, it would have cost you KSh. 9,200, before climbing to KSh. 11,200 by December 3rd. By December 9th, the fare drops to KSh. 8,200, but is back at KSh. 11,200 by December 13th, before dropping slightly to KSh. 10,200 the next day and to a bargain KSh. 5,200 by December 15th, three days before the flight. Two days before the flight on December 15th, no seats are available. One day before on December 17th, no seats can be found on the morning, but later in the day, we see a seat for KSh. 14,200. In mid-November, you could, however, book flights for KSh. 7,200 a number of days before the flight, or KSh. 5,200 on the morning of the flight or the night before. Flights tend to be costlier about 2 - 3 days before. So, there you go. Those are the dynamics of how much you are likely to pay on Jambojet. The same dynamics will apply to other routes to a large extent. Study fares for the next few weeks to spot which days have the lowest costs. Alternatively, pay 7 to 4 days before for standard fares, or take a gamble and pay the evening before or the morning of your flight for the chance of the lowest fares. The pattern is standard fare months in advance, higher fares more than a few days in advance, standard fares 4 to 5 days in advance, higher fares 1 to 3 days in advance, and lowest fares night before or day of your flight. This pattern however is more akin to gambling and works on the assumption that there will be a few empty seats on the flight. Like gambling, the method is not guaranteed!